Do you teach letter of the week or whole phonics? No matter. I know either approach requires fun alphabet printables for preschoolers. Here are nine alphabet printables appropriate for preschoolers, and they are all completely free, too! 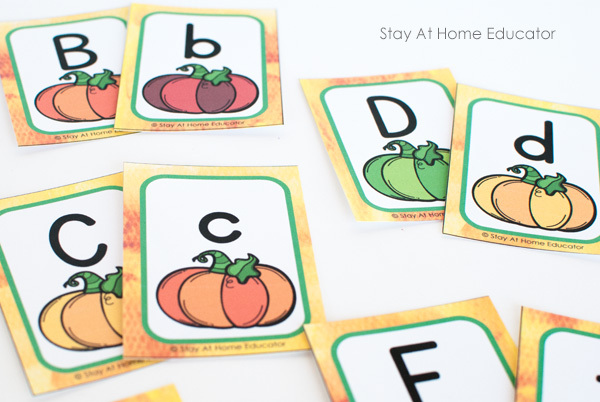 Be sure to click the headings to grab each of your free alphabet printables! 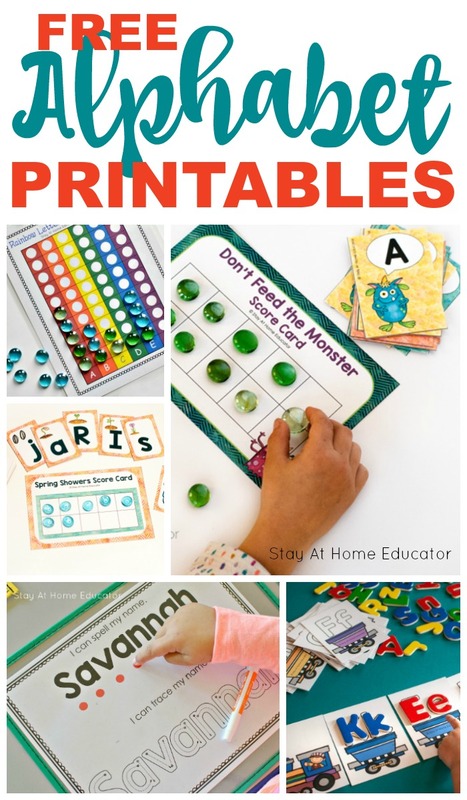 Every good teacher needs an arsenal of teaching resources, especially alphabet resources, and what better than a giant list of FREE alphabet printables for preschoolers just waiting to be added to your preschool literacy centers?! Have you ever witnessed that moment when your preschooler learns something new? When you witness the wheels turning as they are processing and then that moment…that moment when it all clicks together and they make the connection!? For the preschooler and the teacher. Those are the moments that remind us of the important work we do as preschool teachers. Those are also the moments that fill our buckets, too. 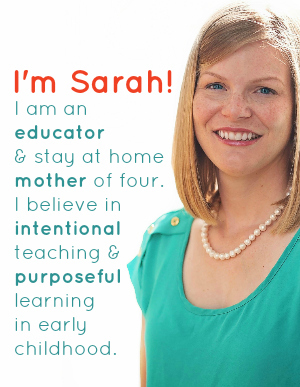 BUT…have you ever witnessed the moments following when said preschooler repeats the process over and over and over again just to make sure they get the same results each time? Because they now love the practice? Or when they turn and teach a fellow classmate what they have discovered? But I have to admit, those don’t come without offering our preschoolers intention materials to work with. That’s why I love to have a variety of resources available in my preschool literacy center. 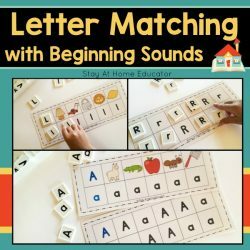 For basic letter matching to more advanced beginning sounds identification, part of having the opportunity to witness those “ah-ha!” moments is having the right materials. And that is exactly why I’m sharing nine free alphabet printables for preschoolers. There might not be anything sweeter than witnessing a preschooler make the connection that the T in their name makes the /t/ sound in “Titus” or that “tractor” also has a /t/ sound. 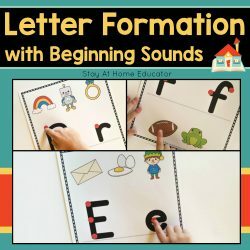 If you’re looking for preschool letter activities, be sure to check out these links and grab your free alphabet printables. 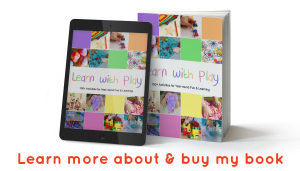 That way it’ll be super easy to add the activities you need to your preschool lesson plans. 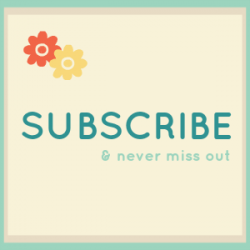 Just click the headings for each free printable! 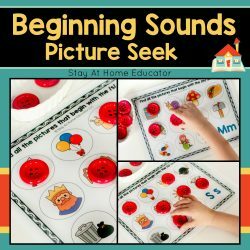 The pictures in this printable makes it so fun and full or learning! It didn’t take long for my 4-year-old to notice the differences in the plant’s growth and my 3-year-old is fascinated by growing plants. This game is sure to tie in well with your spring preschool theme, too! 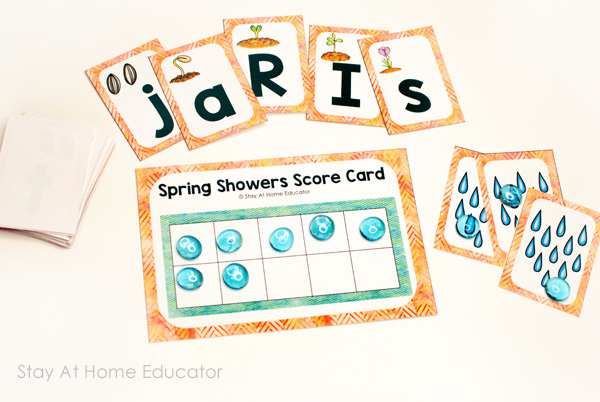 This Spring Showers Letter Identification Game teaches, of course, letter identification and letter sounds, but also a little ten frame math, too. That in addition to a plant’s lifecycle. You can add this to your spring theme preschool literacy or math centers, but it’s also appropriate for a gardening theme, too. 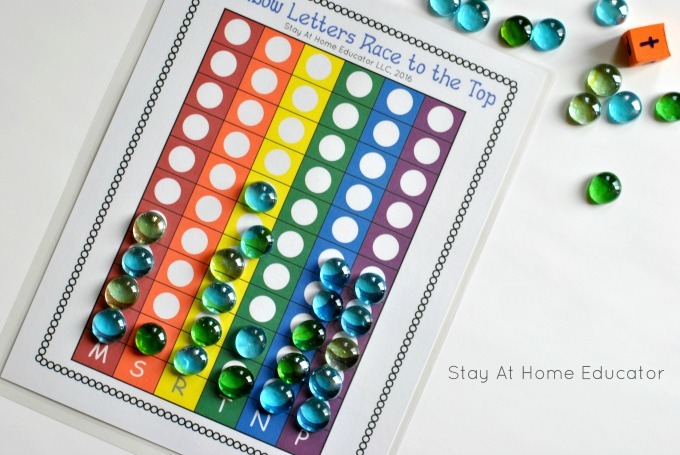 We pair these flat marbles with our Spring Showers game and kids LOVE it! 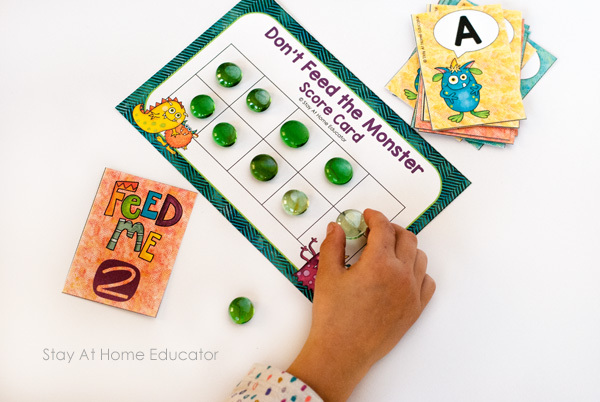 Race to the top games are fun for preschoolers because not only do they introduce very basic graphing skills but they are also an easy way to pair down the alphabet and make it more manageable for children. This Rainbow Letters Race to the Top alphabet printable comes in two versions. One version goes in alphabetical order, while the other goes in the same order as my literacy curriculum, making it the perfect review game for my phonics lesson plans. 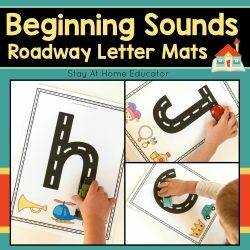 This book is super fun for a spin on the racing theme while strengthening ABCs! From an apples and pumpkins theme to Halloween, these free printable pumpkin alphabet cards have so many uses in your preschool classroom! This post also offers five creative and different letter activities you can do with this single free alphabet printable. But these pumpkin themed alphabet cards are not limited to fall. I also use them as part of my gardening and food and nutrition themed activities. For may preschoolers, their first exposure to the alphabet are the letters of their own name. This is ideal because not only do preschooler have a natural interest in their names but the letters introduced re meaningful. 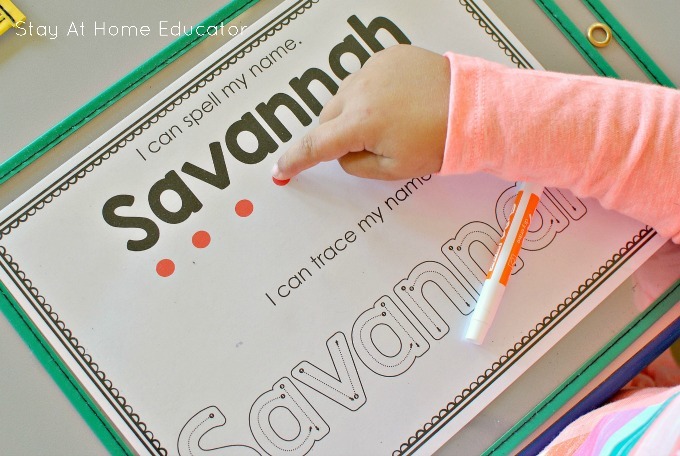 These name spelling practice sheets are ideal for teaching preschoolers not only how to recognize their names but also how to spell their name and write them, too! We love our dry erase pockets and these dry erase markers. Have you tried them before? There’s few things better than a free letter alphabet printable that could also double as a math printable. Not only do preschoolers learn their letter names with this card game, but they also get in a little math practice in decomposing ten. Don’t Feed the Monster is obviously a monsters themed game, it’s fun all year round but especially in October near Halloween. There are few printables that are adored by my preschoolers or as well used as this one! 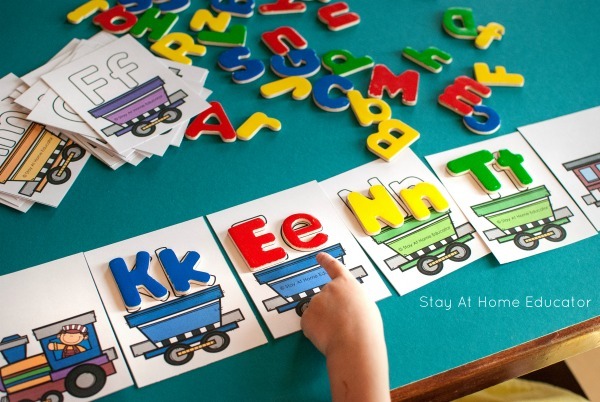 The post offers five ways to play this Alphabet Train Game, too, with letters like these! I know I can count on any train-themed alphabet activity to keep them interested in learning letters! And this alphabet train letter activity happens to come with a free printable and four creative variations on how to use it! For some reason, it seemed a little funny to just add these alphabet printables in with the others since they are so seasonal. Christmas, I mean. While I guess Christmas in July is a thing for some, probably not very many. Here are a few Christmas and gingerbread themed alphabet printables. Preschoolers like to share with you absolutely everything they want for Christmas. Turn those “wants” into some literacy fun with this Christmas letter printable. It’s an alphabet “train” but with a couple of twists. 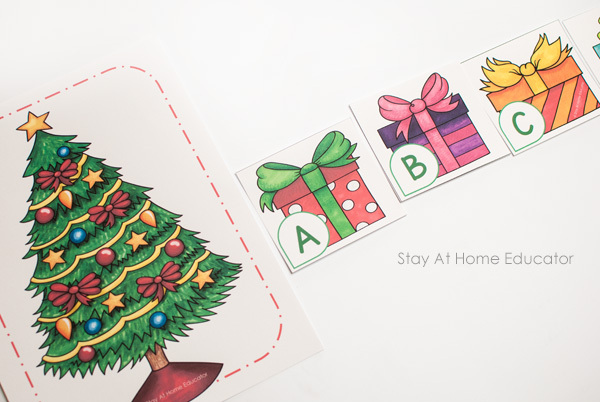 This Alphabet Train Christmas Tree printable has five different versions of how to use the same printable, helping you meet all the needs in your classroom. This will be your students’ favorites. That and this bulletin board Christmas tree!! 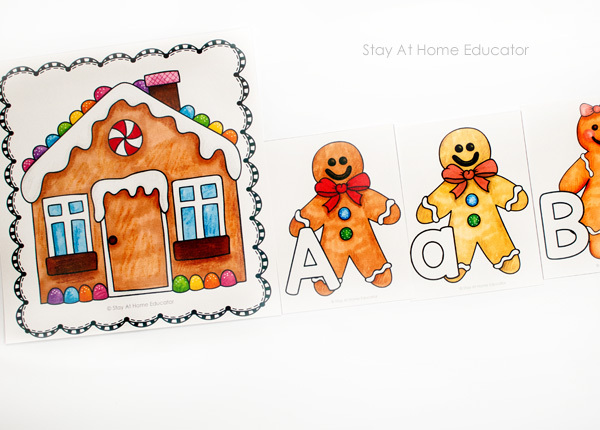 Similar to any other alphabet “train” activity, this one is gingerbread themed! And, of course, there are five ways to play! Old Maid is a favorite preschool card game. I love playing it with my preschoolers mostly for all the giggles that ensure. But this one is gingerbread themed, which makes it the perfect addition to your Christmas preschool theme or even a Food and Nutrition theme! Plus, have you tried these card holders for kids? They absolutely make playing with cards so much easier! 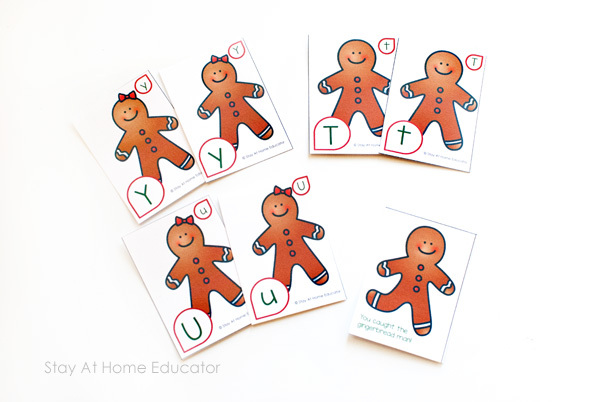 Like all my other letter printable posts, Gingerbread Man Old Maid comes with multiple ways to play! Looking for More Alphabet Printables? Check out some of these alphabet centers for preschoolers. Just click on each image to learn more.